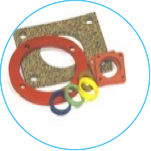 ETS Rubber Pruducts provides and manufactures fabricated rubber goods to domestic and international markets. 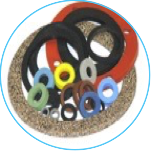 Our goal is to produce rubber goods to high levels of quality standards, honorable buisness practices, untimate integrity and dediction to customer satisfaction. 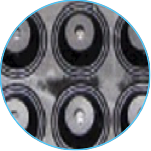 Our motto " Excellence in Manufacturing " is exemplified by our continuous improvement philosophy, staff loyalty, and dedication to reputation. 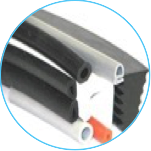 ETS Rubber Products has the experience, capabilities, knowledge and desire to meet the physical and chemical specifications customers require. We have a full testing lab to guarantee our products meet the highest standards. 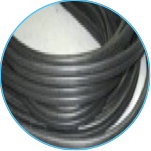 We have assembled a team with over 125 years experience in rubber manufacturing..